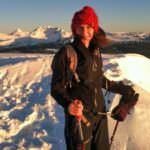 Plan Your TripAsk OregonOutdoor AdventureWhere should we hike and mountain bike — and avoid crowds? Where should we hike and mountain bike — and avoid crowds? It sounds like you have quite the adventure planned! That is so exciting. I recommend checking out Summer Lake Hot Springs. It’s a little out of the way — about two hours southeast of Bend — but I find it less crowded, beautiful, and very peaceful. On your way over from Portland, I’d also suggest stopping along the way at Timberline Lodge (if you’ve ever seen The Shining, you’ll recognize it right away!). You can get a beer there and sit outside on the patio right at the base of Mt. Hood. There are plenty of camping options along Highway 26 and some lakes to check out as well (Trillium Lake and Timothy Lake are not far off the highway). Bend has lots of whitewater, mountain biking and hiking trails, and lakes. Things should be accessible by early July. Oakridge is also known for its world-class mountain biking trails, and there are some hot springs near there as well! Oakridge is located near the Willamette Pass, just south of Eugene. If you hit it right, you’ll find a bounty of huckleberries (in late summer). Also, the McKenzie River trail between Bend and Eugene is a classic mountain bike destination. You can probably find friends in Bend to do a car shuttle with (so you can ride 30 miles in one direction), or you could hire Cog Wild to shuttle you. A little further south is the Umpqua River Trail, another mountain biking classic. The Umpqua Hot Springs are nearby too, as well as Mt. Thielsen and Crater Lake. Mt. Thielsen is a great day hike — you can hike up about 4.5 miles and scramble to the summit if you’re comfortable with the exposure, or you could turn around lower down and still get some incredible views. Crater Lake is a must-do, even if you just drive up to the rim and take a peak at the immense, bluest-blue lake. If you go over to the east side of Rim Drive, you could hike Mt. Scott, another great day hike that should not be too crowded, especially if you get an early start. As for the Oregon Coast, you really can’t go wrong. I’d suggest driving along Highway 101 and stopping along the way to see whatever piques your interest! There are tons of hiking trails, places to camp, and coastal sights to see. I love hiking up Neahkahnie Mountain from Oswald West State Park & Short Sands Beach, and hiking at Cape Lookout, Cascade Head, and Heceta Head Lighthouse.